Greenvale's Compost is peat-free and ideal for all your composting needs. Whether you need compost for a small flower bed or a large vegetable garden, Compost Cube Bags are excellent purchase. Each Cube Bag will cover an approximately 12 square metre area at a depth of 5 centimetres. Compostingâ€”letting natural plant products decompose, is a great way to add safe, organic nutrients to your garden. Unfortunately, accumulating the large amount of compost needed for a good size garden takes time and effort, which many home gardeners today simply do not have. Greenvale's high quality compost is nutrient rich, low acidic, and safe for all your trees and plants. It can be used for flower beds, trees, and organic vegetable gardens. The average PH range of Greenvale's Compost is 6.5 to 7.5. Traditionally, gardeners have used peat moss to improve their soil's composition. This organic material is harvested from wet peatlands and composed of decomposed plant matter which has accumulated over the centuries. When added to soil, peat helps to hold moisture and provides an environment of consistent moisture for roots. However, peat has several disadvantages. It is acidic and thus is not suitable for plants with a low acid tolerance. Unlike composting materials, such as those found in Greenvale's Compost Cube Bags, peat is low in nutrients. Soil low in nutrients is obviously not good for you plants, but it also does not attract earthworms. Earthworms help aerate the soil, keeping it friable for delicate plant roots. Without this natural activity, soil can become too compacted. Compost can be used as a pre-planting soil additive, or as mulch. Instead of peat moss, mix Greenvaleâ€™s Compost in your vegetable and flower beds as you are preparing them. Let them sit a few days before planting. 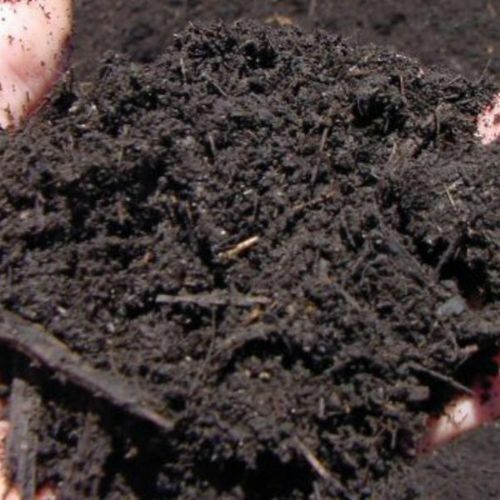 Peat-free Greenvale Compost will keep your soil friable, allowing plants to and beneficial microbes to thrive. By using this compost, you will create rich, beneficial humus for your garden. Greenvale Compost can also be used as mulch around trees and in vegetable and flower beds. While it may not be as attractive as slate or pine mulch, it adds organic nutrients to the soil without making it acidic and it reduces the need for extra fertilizers. Compost can also be used as a nutrient-rich, lawn top-dressing. Simply apply about 1 inch of compost to the area and rake it in, then water. Rake every day until the compost disappears into the soil. Youâ€™ll find economical, nutrient-rich Greenvale Compost will benefit your garden in many ways. It is available in 750Ltrs (Cube Bag), 40Ltrs (large bag) or bulk.